John Luther Shen Sr, Lieutenant Colonel, Retired, United States Army, passed away November 29, 2018 at the age of 88, in Fort Worth, Texas. Memorials: In lieu of flowers, donations may be made to the Shrine Children’s Hospital. John was born in Ranger, Texas on September 25, 1930, graduated from North Side High School and has degrees from Tarrant County College and Dallas Baptist University. After joining the Texas National Guard at the age of 16, he was commissioned as a First Lieutenant in the US Army and served a total of 33 years in the military. John served two tours in Vietnam and was awarded the Soldier’s Medal, five Bronze Stars and numerous other military commendations. 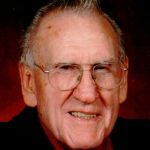 John was committed to his community and church, spending 60 years as a member of the Moslah Shrine and Masonic Lodge and 38 years as a member of First Baptist Church of Lakeside. After retiring from the US Army, he worked for Century 21 as a realtor, broker, and instructor. He was preceded in death by his mother, Ethel Harber Shen; father, Luther Shen and sisters: Helen Welker and Jean Johns.